The heart chakra is located in the chest area and is connected to our cardiovascular system. This is the energetic world of our soul, where compassion and unconditional love reside within us. 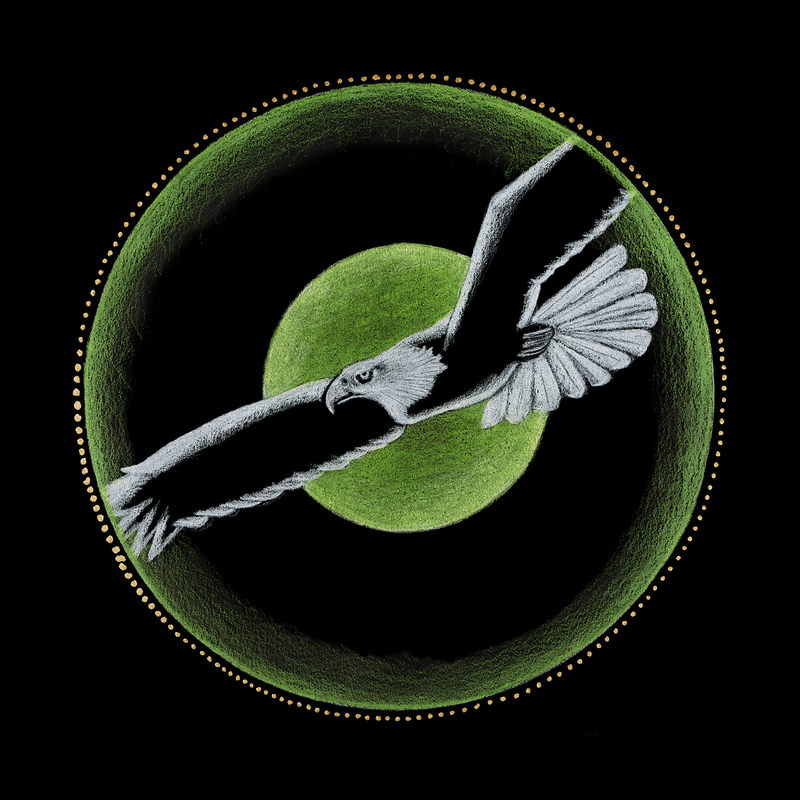 The Eagle archetype resides in the heart chakra uniting the physical body with the soul body. Eagles soar wingtip to wingtip between the heavens and the earth. When the sun rises to signal a new day, Eagle reminds us to fly above the mundane by soaring to gain a new perspective. With new eyes, we can see the bigger picture of our life yet see our stories for what they are: stories. Eagle reminds us to live from our hearts by loving unconditionally with no strings attached. When we soar with Eagle we feel the currents of pure energy freeing us to be who we truly are. The heart chakra is the center point, the core of who we are. This chakra reminds us that to be fully conscious of the self we must love our self unconditionally. By loving our self unconditionally, we will know the truth of our soul. Eagle is associated with direction of East, the place of the rising sun. The return of the sun each morning is symbolic of the spiritual soul renewing itself. We are reminded to see with new eyes and envision a new way of being. Message: Eagle is appearing to you now to help you see the bigger picture of your life. Eagle is asking you to see with your heart instead of your eyes, and to allow your heart to open to unconditional love. If your heart feels heavy, ask Eagle to carry you above the stories and wounds. From this place, know that you have the choice to release the stories that you are holding. Allow your heart to open to ultimate compassion, forgiveness and love. Envision your past, present and future as one big dream that is carrying you forward into what you want to become. Open your heart to all possibilities.